When you’ve been arrested for a DUI in Oklahoma, there’s no time to wait because this type of offense has immediate consequences before you get “your day in court.” A Bartlesville DUI defense attorney can help to reduce the impact of the arrest for drunken driving for now and in the future. A delay could mean you lose your license for an extended period of time. That could mean a big problem for you both personally and financially. An aggressive DUI defense lawyer working for you can improve your chance of easing the effects of the arrest. The state of Oklahoma immediately suspends the licenses of drivers who are arrested for DUI and fail or refuse a breath alcohol test. However, the immediate suspension is only temporary. A Bartlesville DUI defense attorney can ask the court for a modified suspension. What does that mean for you? It means under certain conditions you could be able to drive once again, even if only on a limited basis such as going to work and with an ignition interlock device. When a person is arrested for DUI in Oklahoma, a 15-day deadline starts as soon as they are arrested. You need to act quickly — before the deadline lapses — if you hope to preserve your driving privileges. That’s when you need to contact a Bartlesville DUI defense attorney. After that 15-day deadline is up, you may no longer be eligible to appeal the suspension before a judge. You could lose your license for six months, for a year or more. A Bartlesville defense attorney can advise you about the best strategy for assuring you have a way to continue driving to work and for family activities. The repercussions from an Oklahoma DUI arrest can ripple through your life now and for many years into the future. 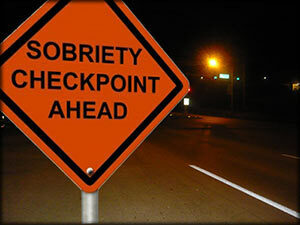 Under Oklahoma law, a first time DUI conviction could result in jail time for up to one year. If there was a child under the age of 18 years of age, it may mean four years behind bars. If you’ve been caught twice the court could sentence you to five years in prison, along with significant fines and court costs. Another reason you need a knowledgeable Bartlesville DUI attorney is because it could affect your ability to keep or find a job. Beyond damaging employment opportunities, a felony DUI conviction will ruin your chances at voting or running for public office. A DUI arrest is a wake-up call telling you to refocus your priorities, your best course of action is to seek the knowledgeable advise of an experienced Oklahoma DUI lawyer. You can speak with a Bartlesville DUI defense attorney simply by taking a moment to call The Wirth Law Office – Bartlesville lawyer for a free, no-obligation phone consultations. All you have to do is call (918) 213-0950 or toll-free at (888) Wirth-Law (888-947-8452). Or, if you prefer submit the “Ask an Attorney” form at the top right of this page. Either way you reach out to our team we will return your call in the timely manner that you deserve.